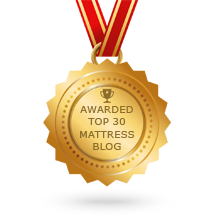 A soft Talalay Latex Mattress Topper for a Too Firm Simmons Beautyrest. Home → Mattress Protectors → Danican Waterproof Mattress Protector → A soft Talalay Latex Mattress Topper for a Too Firm Simmons Beautyrest. I have purchased three mattresses in the last 10 years. I have been happy with none of them. The last one ran about 1800 dollars and was a Beautyrest Simmons world class. It was a much too firm tight top mattress, to which I have added a 3 inch topper. Still the body impressions on the mattress are horrible. I sleep in a rut all night with a hump in the middle of the bed. Is there really a difference in quality when you jump into the $2k-5k range? Because I change mattresses, it seems every 5 years, I am tempted to go buy the comfy Ikea mattresses Latex for under 1k and just replace more often. I need support but soft enough that my hips are not sore and my shoulders are not pushed out of place in my collar bone each am. In California, Macys is having a clearance on Stearns and Fosters 5k estate mattress for 50%off…Any suggestions? No Stearns & Foster mattress at Macy’s sells for $5000….except for the prices that they’ve inflated to promote that phony 50% off sale. Your problem, thus far, is the topper. If it isn’t helping, it’s memory foam…a totally worthless product for that use. 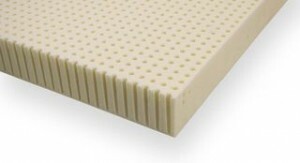 Before you waste more of your money on that phony sale, get a 2″ soft Talalay latex topper for what you have. A firm Beautyrest World Class with a 2″ soft Latex topper is something that we’ve recommended for many years…and always with a positive outcome. 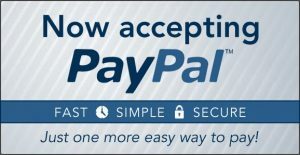 Here is the link to our latex toppers.